Stroke medicine did not really develop into a proper speciality until the arrival of the CT scanner and the increasing access to early imaging that could tell us if there was a stroke and if that stroke was likely to be ischaemic or haemorrhagic. A simple non contrast CT head can be done on anyone (unlike MRI) if they are clasutrophic (most scanners are fairly open), if they are unwell (they take less than a minute and they can be monitored throughout), if they have metal fragments (there is no magnet). CT is much faster than MRI with shorter image acquisition times. 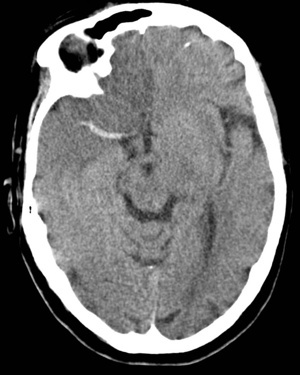 The only catch is that changes on CT for an early ischaemic stroke can be subtle or it can appear normal so initially the rational for CT is that a clinical stroke syndrome with no haemorrhage is assumed to be an ischaemic event if within the first 6 hours and this is good enough for thrombolysis. CT imaging forms the basis of stroke care as it can rapidly differentiate between Ischaemic and Haemorrhagic stroke and some stroke mimics. All clinicians need to develop competencies in reading CT scans and identifying what is normal and what is not. The best way to learn is to look at all the scans which you request, to attend a weekly neuroradiology meeting and to spend time learning the cross-sectional anatomy and vascular supply. Looking at scans is part of good stroke practice and the correlation and sometimes lack of correlation between clinical findings and imaging can be vitally important. Looking at imaging isn't just for medical staff but something that should be of interest to all involved in stroke care. In some centres specialist nurses and therapists attend the neuroradiology meetings and this helps to educate all. It wasn't always this way. I inherited a copy of Brain's clinical neurology from the 1970s and there isn't a single cross sectional image in the whole book as it didn't exist. Prior to CT there as no reliable way to diagnosing haemorrhage versus ischaemia other than at post mortem. Various clinical scoring systems where developed but were unreliable. A calcified pineal good give some idea of where the midline was and tell if it had shifted but it is hard to think that was very useful and I suspect craniectomies were done for suspected haemorrhage which never were. It was really a forlorn attempt at gathering information. No wonder the feeling of diagnostic futility led to a very negative view of stroke. How times change. It's still a surprise that even with the amazing advances in imaging that we still have to deal with diagnostic uncertainties and the answers are not always clear. The first CT scanner was developed in 1972 by Sir Godfrey Hounsfield who was a researcher at EMI. 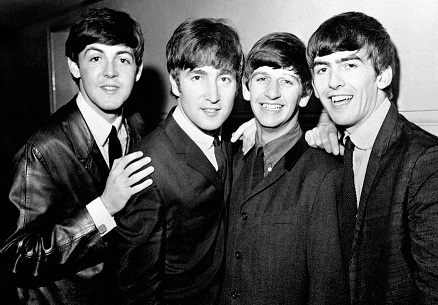 It's a fascinating fact that it was the wealth derived by record sales from the Beatles who were signed to EMI that funded early CT research. Hounsfield went on to win a Nobel prize. It was Hounsfield who came up with the idea that one could determine what was inside a box by taking X-ray readings at all angles around the object. He then built a computer that could take input from X-rays at various angles to create an image of the object in "slices". Applied medically this became computed tomography. Hounsfield built a prototype head scanner and tested it first on a preserved human brain, then on a fresh cow brain from a butcher shop, and later on himself. On 1st October 1971, CT scanning was introduced into medical practice with a successful scan on a cerebral cyst patient at Atkinson Morley Hospital in Wimbledon, London, United Kingdom. It wasn't until the mid to late 80's that CT was available initially in teaching hospitals for assessing stroke patients. Prior to this there was no way to discern ischaemic and haemorrhagic strokes ante-mortem. The CT scanner consists of an X-ray tube and on the opposite side of the cylinder where the patient lies is a set of x-ray detectors. Through a process of data acquisition the X-ray tube and detectors rotates 360 degrees around the patient in the x and y plane and acquires a vast amount of imaging information which then undergoes image reconstruction. The tube also moves in the z axis so building up a 3 d image. Spiral CT was developed in the early 1990s and improves scan speed and flexibility. The x-ray tube and detectors rotate continuously about the patient while the scan table advances the patient continuously through the gantry. Between the x-ray tube and the detectors there is a loss of attenuation as it travels through structures and this is known as the attenuation coefficient which reflects the degree to which the x-ray intensity is reduced by the material. These values are scaled to give values known as Hounsfield units seen in the table below. The overall appearance can be altered by varying Window level and window width. Different windows can be used to look at different structures as shown below. Helical scans mean that there is continuous movement of the patient through the gantry whilst imaging. Multislice scanners mean that anything from 16-64 slices may be acquired at one time. 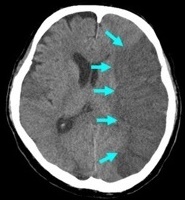 For CT head slice thickness, is typically 5 mm for a standard head CT and between 0.625-1.25 mm for CTA. Although there is a wide number of Hounsfield numbers the human eye can only differentiate less than 100 different levels of grey. CT involves exposure to ionising radiation and so care must always be taken in its use. In the UK access to scanning is guided by IRMER guidelines and only trained professionals can request scans which includes appropriately trained doctors, specialist nurses and radiographers and radiologists. In many trusts have protocols (See indications for urgent CT scan)and agreements that allow specialist stroke nurses to arrange urgent Head CT scans without medical input. This is a vital time-saving step in those who need acute therapies and experience tends to show that this works well. CT scans should only be done when there is a clear clinical need and the result will help to direct therapies or provide useful information that can alter management. A typical head CT involves exposure to 2.1 milli-Sieverts (mSv) but can often be more. For comparison 10 millisieverts (mSv) of radiation is the rough equivalent of 200 chest X-rays. An increased risk of cancer has been identified among long-term survivors of the Hiroshima and Nagasaki atomic bombs who received exposures of 10-100 milliSieverts so care must be taken. Obviously denser structures need greater doses of radiation. Risk can be measured here. Clinically there are no real contraindications for CT if clinically indicated. There are no concerns about pacemakers or defibrillators or metal clips or recent surgery. It is probably unwise if the patient is moribund and too unwell for any intervention and better served by palliation but that's a specialist call. Scans are incredibly quick nowadays and patients can be closely monitored. The only real difficulty is with agitated or confused patients in whom scan quality will be degraded with movement artefact. A doctor can be at the side of the patient during a CT with appropriate lead apron or behind a screen for protection if needed. CT does not prevent monitoring equipment of infusions or drips. It may be occasionally necessary to intubated and ventilate a patient prior to scanning. 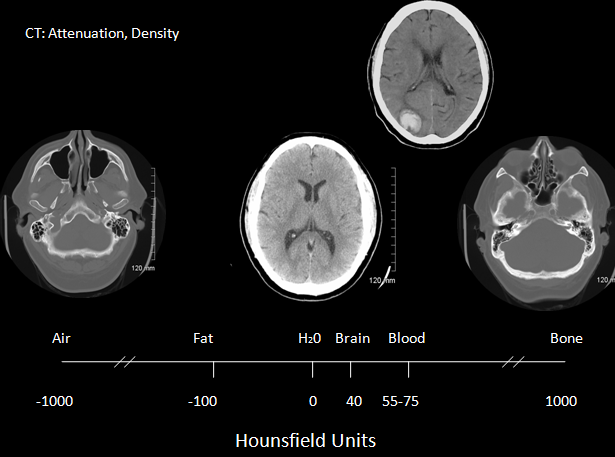 Non contrast CT scan is the standard imaging modality for hyperacute stroke care. It is fast, cheap, accessible, and very sensitive for haemorrhage and there is no problem with pacemakers or monitoring equipment. Claustrophobic or monitored patients can be scanned relatively easy. Done early many scans will be normal despite significant clinical findings. Stroke is primarily a clinical diagnosis and not a radiological diagnosis. This involves mechanism by which one can select for different Hounsfield numbers. Used well it can help increase the contrast between various structures. For example a window of 2000 will show most CT numbers. A wide window (W) 400-2000 HU is useful for showing low and higher density tissues. A narrow window 50-350 HU is better at showing soft tissue. Window Level (L) is that midpoint of the CT range. Brain is W80:L40, Stroke is W8:L32 or W40:L40. CT is incredibly useful but not infallible and its limitations should be respected. A normal CT scan is entirely compatible with a large ischaemic stroke when within 6 hours of onset. There may be some subtle early changes. CT is also very poor at picking up changes in tissue density in bony spaces such as temporal bones and posterior fossa due to what is called beam hardening as the x-ray beam is distorted by the dense bone traversed. Metallic objects such as aneurysm clips or piercings that weren't removed can cause a radiating streak pattern. Partial volume artefacts can cause streaks or bands of alternating dark and light stripes and like beam hardening also affect the posterior fossa. CT scanning cannot differentiate between hypodensity due to infarction or haemorrhage after 1-2 weeks and MRI with GRE or T2* must be used. 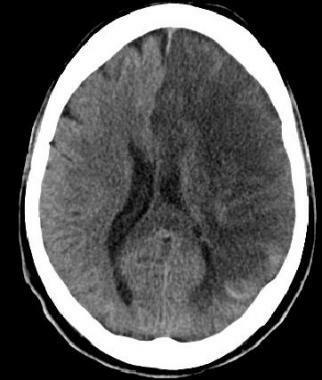 Subacute ischaemic stroke after several days can show haemorrhage and irregular patterns of density and haemorrhagic changes which can resembled tumour. Follow up interval scanning will be needed. Hyperdense Artery or more distal MCA "dot sign" This may be a sign of large vessel occlusion but does not replace a CTA if needed. The hyperdense vessel sign is most specific but has low sensitivity. Always look at in context. Some arteries are simply calcified. It may support the diagnosis of large vessle infarct in the clinical context. It is not just seen with the MCA but can also be seen with PCA and basilar arteries. Hypoattenuation Hypoattenuation seen on CT is highly specific for irreversible ischaemic brain damage and infarction if it is detected within first 6 hours. It suggests that the patient may not benefit from reperfusion therapies. Wedge shaped infarcts Clearly delineated wedge shaped hypodense region involving cortex and adjacent white matter related to the occluded artery anatomy and collaterals at 12 hours. Can suggest large artery disease. Often embolic. Lacunes Small round infacts often in basal ganglia and pons. Usually < 1.5 cm in diameter. Seen with age, diabetes and HTN. Haemorrhagic transformation Bleeding into brain parenchyma. Many large strokes show some of this in the first fortnight. May be some haemorrhagic transformation. Estimated incidence of haemorrhagic transformation is up to 40% in the subacute period even when not thrombolysed. Encephalomalacia Late changes over weeks and months shows continue as the infarcted zone has density of CSF and there is loss of volume.